Mrs. Wiles has over 18 years of field and teaching experience and a m.S. from marshall university in adult & technical education. This is a two year half-day program for high school students and half- day 1 year for adult students. 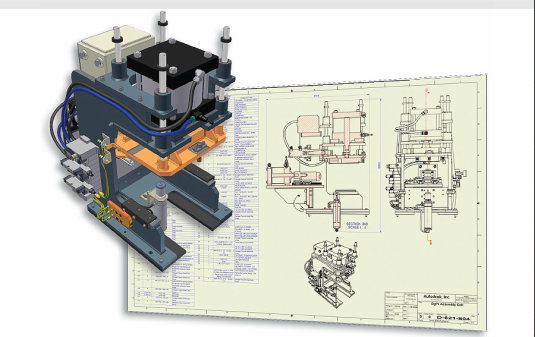 The Computer Aided Design (CAD) program offers graduates a pathway into professional careers as technicians in civil, mechanical, and architectural drafting. Other career opportunities exist in Geographic Information Systems, mapping, surveying, and technical design. The one or two year program options prepares students in all the following skills; computer-aided design and 3D modeling systems; geographic information systems. Graduates emerge with an understanding of how to use computer aided design software to solve real-world graphic communications problems in a team-oriented environment. Regions throughout the Western United States continue to wrestle with issues involving new development, subdivisions, revitalization projects, appropriate land-use, transportation systems and infrastructure. The demand for a workforce educated with the technical skills to assist engineers, architects, surveyors, and land-use planners will continue. As a STEM-related (Science, Technology, Engineering, and Mathematics) career field, individuals trained in Computer Aided Design play a critical role in designing solutions for the economic and societal well-being of our world. Academically prepared students can complete this Certificate of Applied Science program certification in one year. •Develop and produce engineering documents using computer-aided technologies and hand-drawn graphics. •Effectively utilize information technology as a research and productivity tool. •Demonstrate the workplace skills of effective communication, problem solving, collaboration, critical thinking, and leadership. Adult Students wishing to enroll in this class must pass the TABE test. There are no additional charges for current KCS students. Adults wishing to enroll should call the school for more information.